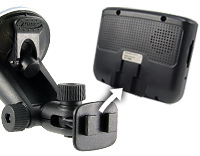 Arkon offers 22 different car mount solutions, all compatible with the HP rx5900 and iPAQ 300 Series Travel Companion. No other manufacturer or supplier offers as many high quality mounting solutions for your HP iPAQ rx5900 or iPAQ 300 Series GPS navigation device. 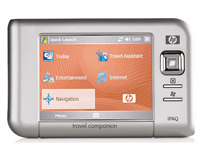 Arkon's Dual T mounting pattern is standard on the HP iPAQ rx5900 and iPAQ 300 series portable navigation devices.